I thought I'd keep on the theme of polychrome sculpture this week, given my earlier post on painted classical sculpture. Recently I've wondered whether classical artists would sculpt and paint their works, or if the work was divided between specialized painters and sculptors. 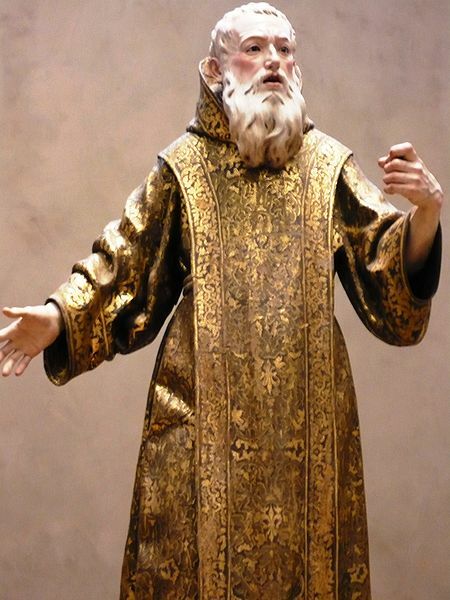 Consequently, I began to think of polychrome baroque sculpture in Spain, Portugal, and Brazil; such sculpture is often painted (by a specialized painter) after the physical piece is created by a sculptor. (As a graduate student, my research on Brazilian art included the Passion sculptures at Bom Jesus dos Matozinhos (Congonhas do Campo), which were sculpted by Aleijadinho but later painted by Manoel da Costa Ataíde). Does anyone know more information about the Spanish/Portuguese tradition of having painters and sculptors collaborate? Off the top of my head, I would guess that this practice may have come out of the medieval tradition of wooden sculpture, but I couldn't say for sure. So much medieval sculpture was created by anonymous artists; it's probably difficult (or perhaps impossible) to know if medieval painters and sculptors collaborated on three-dimensional work. Perhaps medieval artists were trained to both paint and sculpt, and there was no need for collaboration? On a side note, I'm glad that my friend Shelley recently introduced me to Luisa Roldán (who is affectionately nicknamed "La Roldana," on the right is her presumed portrait by Antonio Rotondo, 1862). I'd never even heard of La Roldana until a few weeks ago, but I immediately feel in love with her because 1) she's a Baroque sculptor, 2) she's Spanish (and Spanish sculpture often reminds me of the wooden baroque sculpture from Portugal and Brazil) and 3) she's a woman. Like many other female artists from the Renaissance and Baroque eras, Roldán's father (Pedro Roldán) was also an artist. Roldán was an extremely successful artist (a great feat in the male-dominated profession) and worked as the court sculptor for Charles II. (In fact, St. Gines de la Jara was probably a royal commission.) 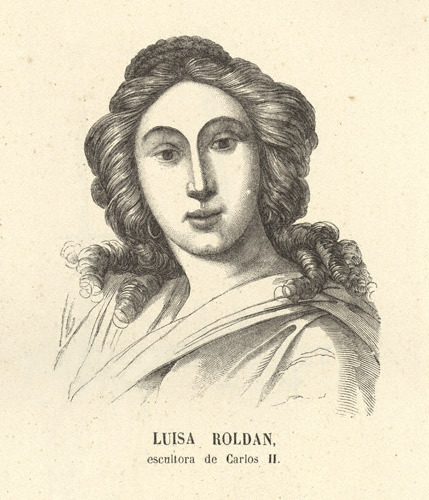 Roldán was quite famous and successful during her lifetime, but seems to be relatively obscure today. Sigh - I wish she was discussed more in art history textbooks.